Jonathan Jarvis has donned National Park Service garb for 40 years. So the agency’s 18th director feels entitled to a few opinions on how to modernize its operations during its 100th anniversary year. The National Park Service, signed into existence by President Woodrow Wilson on Aug. 25, 1916, is at a “pivot point,” Jarvis told Government Executive in an interview at his temporary office in the Interior Department’s Stewart Lee Udall Building in Washington. (The New Deal-era facility that houses his permanent office is undergoing renovations). A host of celebratory public events are planned, something Jarvis said he hopes will move his 22,000 employees to “connect with and create the next generation of park visitors, supporters and advocates.” Laid out in a document titled “A Call to Action,” the centennial has been five years in the planning, Jarvis said, though its roots go even further back, to Interior Secretary Dirk Kempthorne during the George W. Bush administration. The past decade has not been easy on the Park Service. Its annual budget—which goes to maintain more than 400 parks that attract 280 million visitors annually — now stands at $3 billion, but was as low as $2.6 billion as recently as fiscal 2015. The agency’s full-time staff dipped to 19,500 employees in fiscal 2015 before rebounding this year. The centennial seemed to put Congress in a more generous mood. “In fiscal 2016, we got the largest budget in NPS history,” Jarvis said. That boost restored funding that had eroded, he said. The Park Service’s fiscal 2017 request of $3.1 billion would boost program and operational funding by another $250.2 million. To plan and execute centennial celebrations, NPS will rely heavily on a seasonal workforce of 8,000-10,000 people, Jarvis said. They include rangers, front desk employees, search and rescue staff, firefighters, those who give interpretive talks, and law enforcement officers. The recent funding boost has restored seasonal staffing to traditional levels. The anniversary funding includes a $15 million matching fund challenge—an extension of a program in which the Park Service leverages appropriated funds to win matching grants from non-government organizations. It covers everything from construction of facilities to youth and education programs. Another $90 million will go to physical infrastructure and $8.5 million for grants under the service’s From Civil War to Civil Rights initiative, Jarvis said. And $12 million is earmarked for urban parks in impoverished areas where green space is scarce. In addition to its funding stream for operations, NPS has a separate repair budget, which it deploys in an effort to address a maintenance backlog of nearly $12 billion. The Park Service maintains a transportation network that includes 5,500 miles of paved roads, 4,000 miles of unpaved roads, and more than 1,000 bridges—many of which are in mountainous areas or environments prone to flooding. Last year, the Park Service got the grim news that Federal Highway Administration inspectors had determined that Washington’s Memorial Bridge, which connects the NPS-curated Arlington House on the Virginia side of the Potomac with the NPS-managed Lincoln Memorial in the District of Columbia, has greatly deteriorated. It will require $250 million in repairs. That would almost eat up the entire $268 million the Park Service won in last fall’s five-year highway bill, Jarvis said. During the dramatic budget stalemate in the fall of 2013, Jarvis was frequently in the news. (He keeps a list of articles related to the drama that totals 35,000.) The appropriations lapse that forced thousands of federal employees to stay home also meant the Park Service sealed off the war memorials on Washington’s National Mall from tourist traffic. That displeased Republicans in Congress—whom many in polls blamed for the shutdown. Those lawmakers argued that Jarvis shouldn’t deny entrance to such sites as the World War II Memorial to elderly veterans who may have traveled long distances for a one-time opportunity. When Congress shuts off funding, all but about 3,000 Park Service employees must be furloughed, Jarvis said. “But we do have a responsibility to protect, and the way is to not let anyone go in. It’s not an easy decision, but the right decision. I take full responsibility.” There have been well-publicized incidents at Park Service properties, he noted. In 2013, a vandal threw paint on the Lincoln Memorial and a former Boy Scout leader tipped over an ancient rock in Utah’s Goblin Valley State Park. 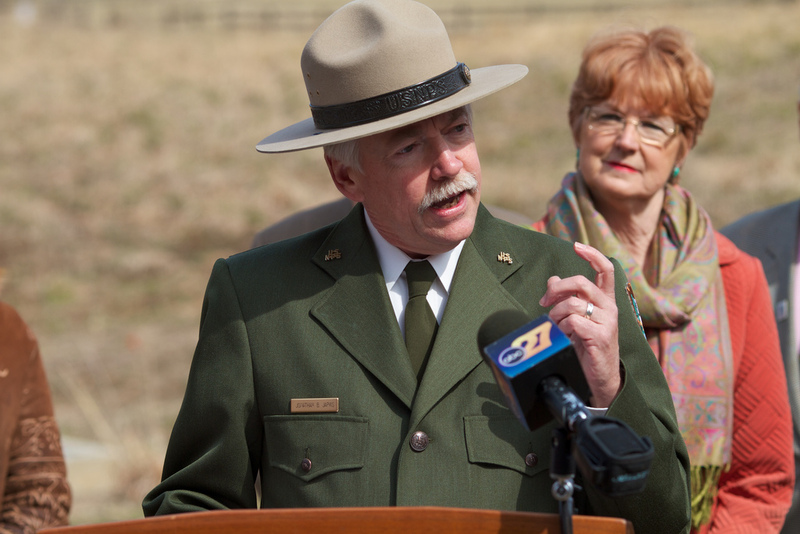 Jarvis began his NPS career as a seasonal interpreter in 1976, and moved up to become a ranger, resource management specialist, park biologist and regional director before taking the agency’s top job. Appointed in 2009, he is likely to leave at the end of President Obama’s term. Jarvis’ tenure has not been without controversy. Last month, he was disciplined by the deputy Interior secretary after an inspector general’s report found he had skirted ethics rules by authoring a privately published book celebrating national parks—though he did not profit. 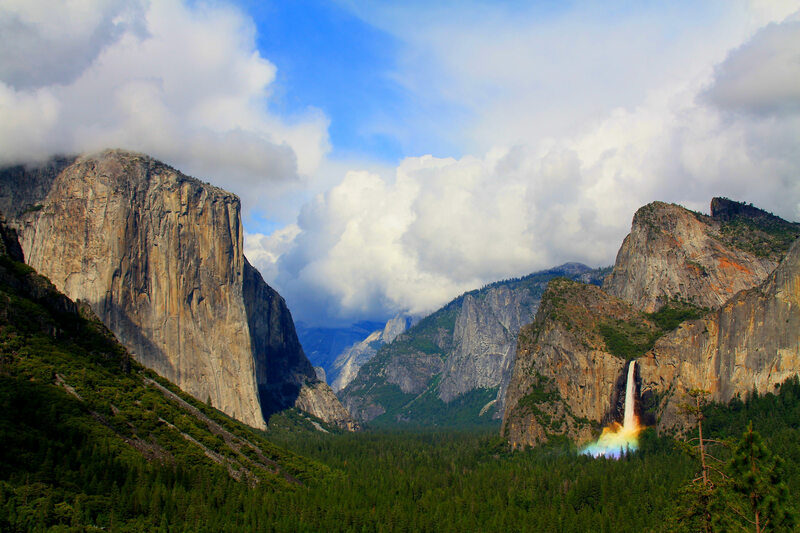 Also earlier this year, it emerged that a contractor, Delaware North, had trademarked several images and names related to Yosemite National Park, and sued to protect them after it lost out on a contract to continue to provide concessions at the park. The Park Service decided to change some of the park’s iconic names while the legal battle plays out. At the Grand Canyon, for example, a contractor, Xanterra, built up credits with the agency for many years worth of improvements to buildings. When it came time to rebid the contract, it turned out the winner would have to pay the company $150 million, which “made the contract uncompetitive,” Jarvis said. He had to divert funds from other parks’ fee proceeds to pay off the accumulated debt. The parks also depend on philanthropy. Usually, it comes via the National Parks Foundation. But there are exceptions. In January 2012, for example, billionaire David Rubenstein donated millions of dollars to refurbish the earthquake-damaged Washington Monument through a group called the Trust for the National Mall. 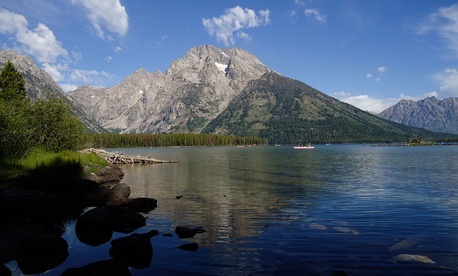 Such philanthropy harkens back to the era when John D. and Laurance Rockefeller donated money and land to protect such sites as the Grand Tetons in Wyoming, Acadia National Park in Maine and the Virgin Islands. As it looks to the future, the Park Service is relying on digital communications to attract a new generation of visitors. But new technologies must be introduced with restraint, Jarvis said. At the Grand Canyon, the agency has contracted to install wi-fi at the visitors center, “but not at the bottom of the canyon,” he joked. Older park visitors, Jarvis said, tend to say, “leave that technology at home and do the park the way I did.” But he noted that such traditionalists don’t “hike wearing wool, cooking on an open fire and with a wicker pack. No, they now have a carbon fiber pack, GPS and a refined fuel stove.” Technology, when used as a “teaser,” he said, can provide a great introduction to the park experience.